MIDSOLE BioMoGo DNA fuses BioMoGo midsole and DNA cushioning technology for a fully custom responsive ride that adapts to the needs of each and every runner. Guide Rails Holistic Support System helps to protect your knees by keeping excess movement in check. Midfoot Transition Zone promotes a fast foot transition. OUTSOLE Blown Rubber in the forefoot offers durability, responsiveness, and flexibility. 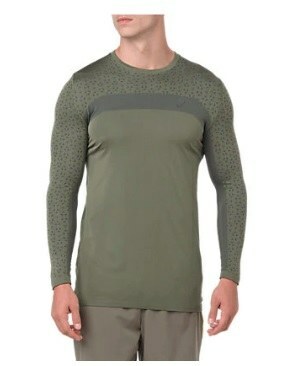 UPPER One Piece Mesh upper has maximal ventilation and an adaptable stretch to provide an individualized fit. Midfoot saddle locks down the midfoot while also offering lowlight safety. With its sleek design and stylish upper, the Brooks Ravenna 10 not only looks fast but is ready to put in the miles or pick up the pace. For the first time, the Ravenna 10 features Brooks GuideRail technology which protects your knees by keeping excess movement in check. Additionally, the one-piece mesh upper and internal bootie offer comfortable support while maintaining maximum breathability. If you're looking for something a little faster for race days or training runs, add the Brooks Ravenna 10 to your collection. For best fit we advise customers to avail of our detailed gait analysis service.